In the HKHP corner was Alejandro Queral MS, JD, a program officer at the NW Health Foundation. In 2010 Alejandro was appointed by the now embattled governor John Kitzhaber to serve on the state’s Public Health Advisory Board. Also speaking for HKHP was Mike Plunkett, DDS, MPH, dental director for both Care Oregon and the Neighborhood Health Center. Like Alejandro, Mike was also appointed by John Kitzhaber to the state’s Health Advisory Board. Representing Clean Water Portland was Rick North, a 30 year veteran of nonprofit management, including work in public health and environment in the American Cancer Society and in developing faith-based programs to reduce global warming. Rick has also done work in opposition to GMO’s and controversial livestock growth hormones. Also speaking for CWP was Kellie Barnes, MOMT, MPT, a mother of two, and founder of Core Physical Therapy LLC. She has been a health care provider for two decades. After winning a coin toss, Alejandro and Mike from HKHP chose to begin opening remarks. Each spoke, though Mike took on speaking duties about twice as much as Alejandro during the opening and throughout much of the evening. Both men were dressed in jackets and ties, and approached their arguments with a paternal, authoritative tone, citing the ‘sound science’ and numerous government agencies that have endorsed fluoridation. By contrast, Rick and Kellie began their opening remarks with a slower, measured tone that seemed more refined and empathetic to the audience present. Kellie spoke with a maternal chord that resonated well with the audience; she sounded like a native Portland neighbor more than anyone else on stage. While speaking, Mike Plunkett seemed slightly perturbed to have to debate the issues at all, often beginning sentences with “Look..” or “You have to understand…” or “The thing people don’t get is…”, possibly sensing that people in the room were distrustful of his rhetoric. He even went so far in his opening remarks as to characterize CWP’s opposition to fluoridation as being based upon “scare tactics” and “fear politics”. Alejandro initially began more cool, but as the debate progressed, he, too adopted a more agitated tone, at one point declaring, “Everything is a chemical. Nothing in the universe is pure.” The crowd chuckled politely, unsure of whether he meant to sound so dismissive. Both men attempted to generate a narrative claiming fluoride is safe, that it has no side effects. Yet neither offered an ethical argument for the forced medication that nonconsensual fluoridation would amount to. Kellie Barnes and Rick North from CWP both approached this issue of consent several times, citing medical professionals in Europe who disagree with mandated medication. Rick went on to inform that only a small fraction of nations throughout the world actually choose to practice fluoridation. Kellie went on to refute the HKHP line that fluoride poses no health risk by citing several at-risk groups like pregnant women and people living with diabetes. She also tolerated several interruptions from her male counterparts from HKHP who seemed to have no problem chiding her in front of the crowd. They repeatedly claimed there was “no scientific evidence” of any significant harm from fluoride. Rick calmly disagreed, “We know fluoride disrupts thyroid function.” HKHP did not refute him on this point. After Kellie explained that permanent white spots that form on teeth are the first signs of an overdose of fluoride called fluorosis, Mike Plunkett became red-faced and irritably admitted that “All fluoride causes some amount of fluorosis” which caused another stir among the audience. Kellie and Rick both spoke about hazard labels on toothpaste that warn consumers not to swallow after brushing, citing the harm of digesting fluoride. Kellie explained that a 12oz. glass of fluoridated water “has the same amount of fluoride as a pea-sized drop of fluoride toothpaste”. Furthermore, drinking a day’s worth of fluoridated water is the equivalent as swallowing about a days worth of toothpaste. In what would build towards an ever-increasing series of gaffes for HKHP, Mike Plunkett seemed to respond without having listened to what Kellie had just said. Mike abruptly quipped, “Those warning labels on toothpaste are there because swallowing toothpaste is unhealthy”, which caused even more laughter from the audience. At the doorway to the auditorium, volunteers from each campaign had handed out stapled copies of their respective talking points. It was Kellie who repeatedly referred the audience to Clean Water Portland’s printed text. Throughout the debate, each time she asked the audience to turn to a certain page, hundreds of people in the auditorium could be heard rustling papers. This crowd appeared less and less interested in the HKHP hype. Rick North went on to debunk Alejandro and Mike’s claim that adding 0.7PPM of fluorosilicic acid to drinking water was a ‘safe’ dose. 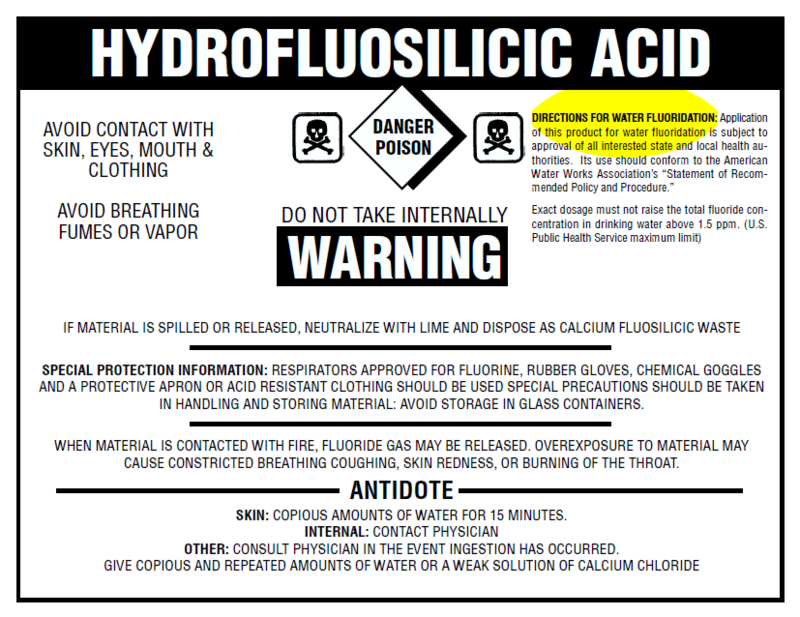 Rick explained, “We know fluoride can cause harm. Regardless of the PPM, once introduced into drinking water, we can no longer control the dose. If we cannot control the dose, we cannot control the harm.” Despite being warned to refrain, several members of the audience applauded in response to this fact. It was shortly after Rick’s statement that Mike Plunkett was seen placing his head in his hands for several moments in what looked like either frustration or exhaustion. This was not a momentary gesture, and was not in direct response to Rick or Kellie, as his co-debater Alejandro was on the mic speaking during this odd display of expression. At this point, it was clear who was winning the debate. But then things got even stranger. A written question from the audience was asked aloud from moderator Teddy Keizer, “According to the CDC, Texas is fluoridated at 80%, yet has the one of the highest rates of tooth decay, how do you explain this discrepancy?” The audience again began laughing, which seemed to unnerve Mike Plunkett into becoming even more defensive. In his answer, Mike claimed that there could be no direct correlation between rates of fluoridation and rates of tooth decay. This statement stunned the audience, who at this point had spent the last two hours listening to HKHP make the argument that tooth decay statistics and fluoridation were inextricably linked. This was the essential argument of the entire ‘Healthy Kids’ campaign, and their chief debater had just pulled the rug out from under it. From here, the rest of the questions from the audience picked apart the pro-fluoride campaign. When asked if the large donations that HKHP has been receiving posed a potential conflict of interest, the pair of HKHP debaters chose to dodge the question entirely. Rick and Kellie were more than happy to confirm that the vast majority of their respective campaign’s support consisted of small, individual donations and staff of unpaid volunteers. Alejandro and Mike then seemingly resigned themselves to the fact that they had lost the debate, finally dropping their agitated tones and pursuing some degree of damage control with attempts at humor. Admitted Mike, “I know we don’t agree on all things, I can tell looking at all your faces tonight you don’t agree with me [on fluoride]”. More laughter rose from the crowd. The end of Rick’s line signaled the close of the debate, and with this close there erupted thunderous applause from the hundreds of people in the auditorium, sustaining for a solid minute while the audience cheered approval. There could be no doubt about who had won the night’s debate. There could be no doubt about how much Portlanders cherish unpolluted Bull Run fresh water. As the audience gradually exited, the faces of HKHP’s speakers and dwindling supporters looked grim, and perhaps rightly so. Despite this, the fight for our drinking water is not done. Not by a long shot. HKHP continues to rake in top-dollar donations to pay expensive PR firms and their wealthy consultants. Clean Water Portland needs your financial and volunteer support. There is also an ongoing series of ‘clean water’ concerts happening at The Goodfoot for the next 6 weeks featuring a wide array of music talent. The next show is event page’d HERE. Threats to our water supply will surely persist. Regardless, today we have a responsibility to win this fight against fluoridation. All images copyright Hart Noecker and Rebel Metropolis. The Multnomah County Democratic Party hosted a Debate on the Fluoridation of Portland’s Drinking Water Supply (Measure 26-151, that will appear on the May ballot) on Wednesday, April 10 at the Matt Dishman Community Center. This is part 1 of a 4-part video of that debate. The Multnomah County Democratic Party hosted a Debate on the Fluoridation of Portland’s Drinking Water Supply (Measure 26-151, that will appear on the May ballot) on Wednesday, April 10 at the Matt Dishman Community Center. This is part 2 of a 4-part video of that debate. The Multnomah County Democratic Party hosted a Debate on the Fluoridation of Portland’s Drinking Water Supply (Measure 26-151, that will appear on the May ballot) on Wednesday, April 10 at the Matt Dishman Community Center in Portland. This is part 3 of a 4-part video of that debate. 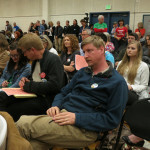 The Multnomah County Democratic Party hosted a Debate on the Fluoridation of Portland’s Drinking Water Supply (Measure 26-151, that will appear on the May ballot) on Wednesday, April 10 at the Matt Dishman Community Center in Portland. Video courtesy of Mulnomah County Democrats.